B&C. TV Guide Scan. Wallpaper and background images in the Blair & Chuck club tagged: ed westwick leighton meester photoshoot magazine scan. 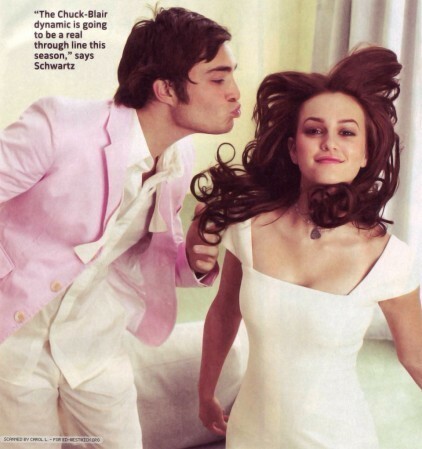 This Blair & Chuck photo might contain bridesmaid, msichana wa heshima, mjakazi wa heshima, cocktail mavazi, ala, cocktail dress, kutoboa, picha, headshot, and closeup.